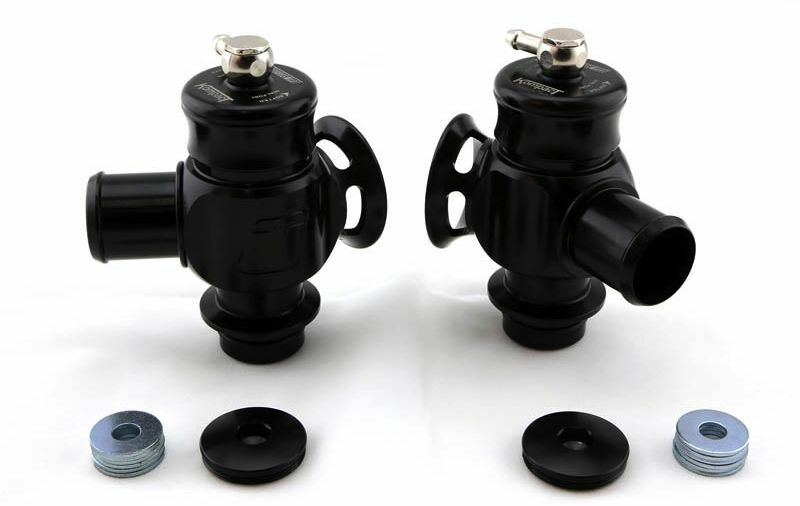 This Kompact Dual Port Blow-Off Valve from TurboSmart for the ATS-V has been designed to improve turbo response and eliminate compressor surge. Enjoy improved efficiency and longevity of your vehicles turbochargers all while providing that high-performance blow-off valve sound that everyone loves. 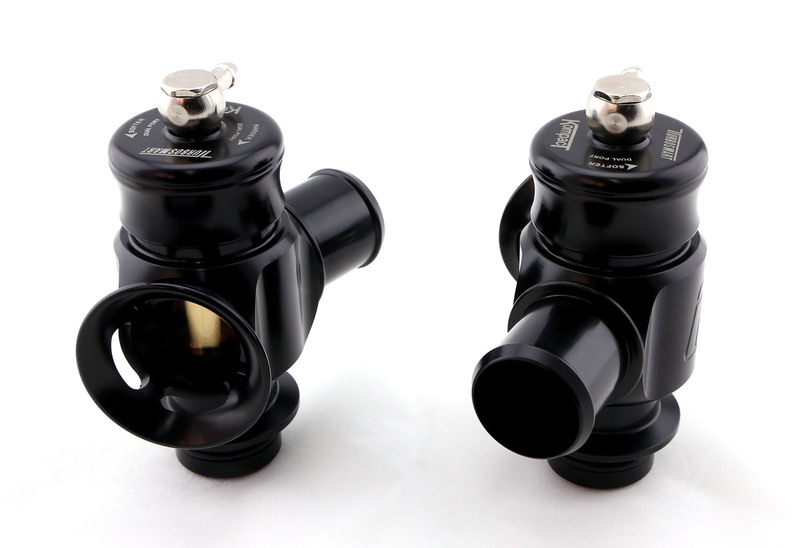 The Kompact Dual Port is a 50-50 vent-to-atmosphere and recirculating valve. This means it ensures enough air is recirculated back through the intake to keep your ECU happy while maintaining quiet operation and performance. Its new modular design allows you to simply unscrew the trumpet and replace it with the supplied blanking plug to transform it to a full recirculation valve for quiet, under the radar, operation. 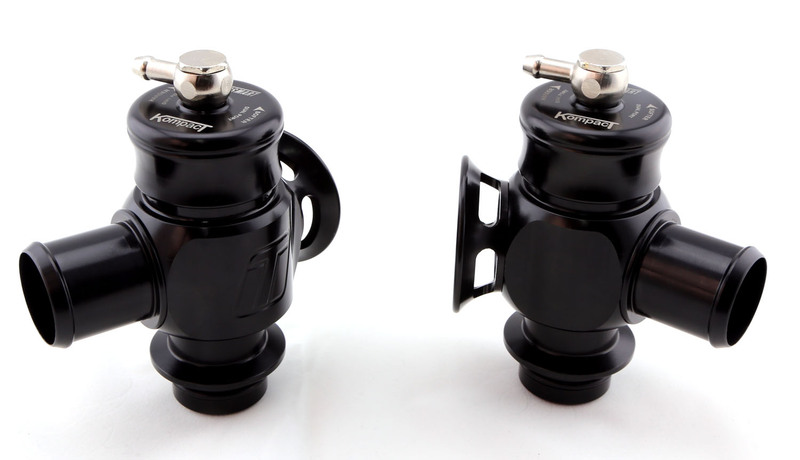 Machined from billet aluminum with a black anodized finish, this BOV is both attractive and durable, with the strength to handle all the boost you can imagine... with zero leaks.